Located amongst Texas' most desirable attractions. Premium Inn & Suites is minutes from Killeen Civic and Conference Center and Vive Les Arts Theatre. This hotel is within the region of Killeen Mall and Stillhouse Hollow Lake. Make yourself at home in one of the guestrooms featuring refrigerators and microwaves. Flat-screen televisions with cable programming provide entertainment, while complimentary wireless Internet access keeps you connected. Private bathrooms with shower/tub combinations feature complimentary toiletries and hair dryers. Conveniences include desks and coffee/tea makers, and housekeeping is provided daily. Business, Other Amenities Featured amenities include a 24-hour front desk, laundry facilities, and a library. Free self parking is available onsite. "You can't beat the Premium Inn & Suites" You should book a room here if you're looking for a great, affordable place to stay in Killeen. The accommodations are comfortable and you can't beat the location. "A great place to stay in the heart of all the action" A wonderful getaway that is super convenient to downtown. My wife and I have stayed there several times and the management/staff are very friendly. Thanks, Premium Inn & Suites, we'll be back! "Best Hotel Find in Killeen" Premium Inn & Suites is a real charmer and a great find for hotel accommodations when staying in Killeen. 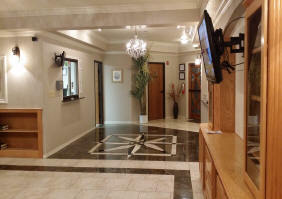 Premium Inn & Suites combines character and charm and also is priced just right. "Service, location and hospitality will make you want to come again!" My partner and I have stayed here 3 years in a row now. We love the Premium Inn & Suites because of its location, service and nice-sized rooms. The price is also unbeatable. We will come back here in a heart beat! "Wonderful Value for the Money and Can't Beat the Location" My husband and I and our 3 year old tot often stay at the Premium Inn & Suites because of the value and the AMAZING location. It's clean, comfortable and an excellent value for the money.